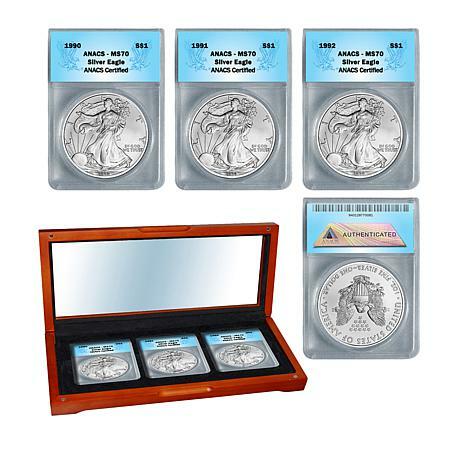 Silver eagles are special, however, this set of 3 is a "breed" unto themselves. 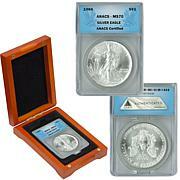 These handsome silver coins, among the most popular in the world, feature lovely Lady Liberty. 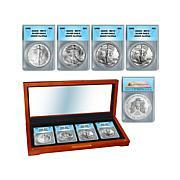 They are MS70 coins and come in a lovely window box so you can display them, give them as a gift or store them. 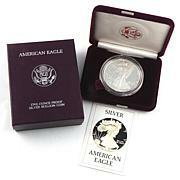 Reverse: Heraldic eagle with shield and 13 stars; inscribed with "1 oz. 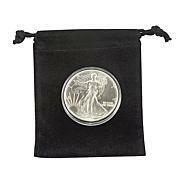 fine silver" and "One Dollar"